If you think that liver disease is only found in alcoholic people, think again. Yes, alcohol is a big contributor to heart disease amongst people, obesity leads to the non-alcoholic fatty liver disease. What makes this form of liver cirrhosis more alarming is the rate at which is seen growing amongst people. Especially disturbing is the fact that children are also falling prey to it. Basically, anyone who's obese is at risk. As obesity grows, the disease will grow too. Considering that liver disease is a silent killer, this is really frightening. If an obese person consumes alcohol, the risk is further multiplied and the situation can be really dangerous. 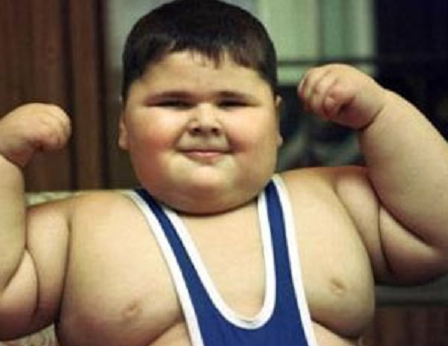 If your child is fat, you need to be very careful about his/her health. If your child shows symptoms like nausea, stomach ache (below the ribs) and vomitting regularly, you might want to see your doctor. These may be symptoms of liver disease and need to be thoroughly examined. Encourage your child to lose weight by setting healthy example.